If you have many cards on a board, it may be sensible to reduce card size to allow for a better overview. 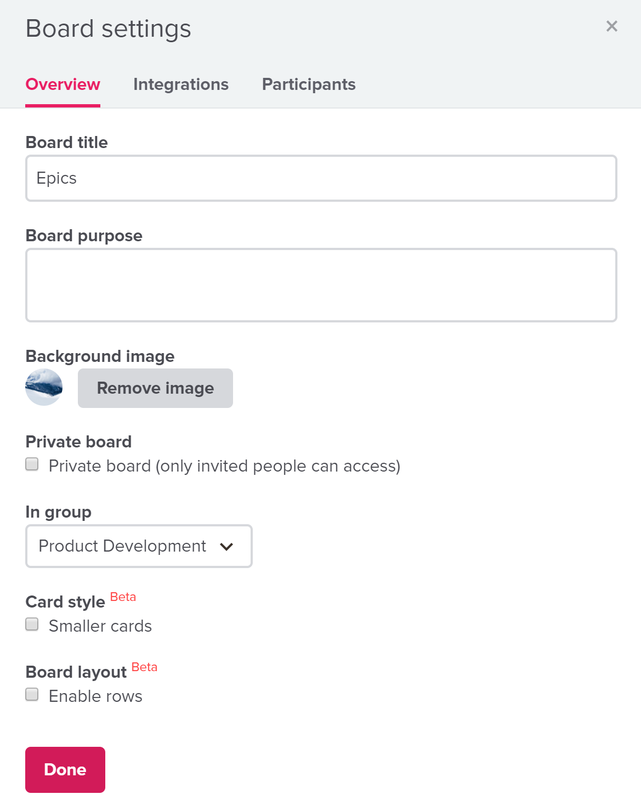 In order to change card size, go to board settings (the down arrow just to the right of the board title). Then scroll down and enable "smaller cards" (see image below). The smaller cards will be in the same format, but with text (description) removed. Card size is controlled at the board level and can easily be reversed by disabling "smaller cards".